The Industry Analysis section of a business plan compares and contrast industry elements in a certain type of business to showcase the profit potential and the potential to compete for the business outlined in the business plan. Industry analysis is a tool that facilitates a company's understanding of its position relative to other companies that produce similar products or services. Understanding the forces at work in the overall industry is an important component of effective strategic planning. Industry analysis enables small business owners to identify the threats and opportunities facing their businesses, and to focus their resources on developing unique capabilities that could lead to a competitive advantage. There are many models for analyzing an industry. One premier model for analyzing the structure of industries is Porter’s 5 Forces. Porter's model shows that rivalry among firms in industry depends upon five forces: 1) the potential for new competitors to enter the market; 2) the bargaining power of buyers; 3) the bargaining power of suppliers; 4) the availability of substitute goods; and 5) the competitors and nature of competition. While these factors can be outlined in a variety of ways, many business plans simply put enough statistical or informative data to prove their position. By following Porter’s 5 forces it allows anyone compiling a business plan to outline to core industry factors important to a business analysis. This includes how many competitors, their proximity and how closely related the competitors are to the business in the business plan. It also includes a survey of the suppliers in the business and comparable businesses that may compete for the same dollar. For example, although a fancy restaurant and fast food chain are not exact competitors, they do compete for the same food dollar if they are close in vicinity and thus must be compared in a business analysis. It should be noted that most sections of the industry analysis should have footnotes with where you got the information. This is to allow the reader to go back and look up the data and assure its accuracy. 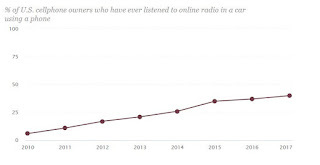 While all business plans are written depending on the audience and the purpose, here is an example of an industry analysis section of a business plan for an online radio station…..
Powered in part by the ever-expanding proliferation of smartphones, digital audio behaviors such as listening to online radio and podcasts are achieving significant mass usage, according to the Infinite Dial 2016, the latest in a long-running series of studies on consumer adoption of digital media from Edison Research and Triton Digital. Infinite Dial 2016, released today, is the latest report in a series dating back to 1998 that uses the “gold standard” of survey research—a random probability telephone sample, comprising both cellphones and landlines, of all Americans ages 12 or older. 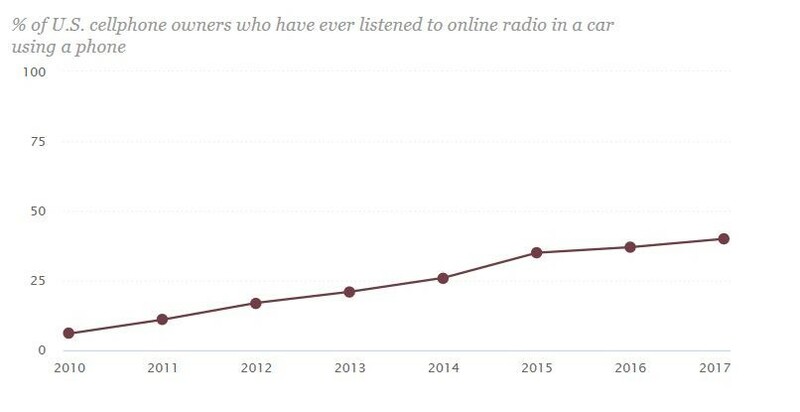 The study has become the report card on digital audio and other digital media, and is widely used and quoted by broadcasters, Internet radio, ad agencies, and the financial community. On demand video-subscriptions are at 51% of the population; 43% of all respondents subscribe to Netflix. Facebook remains the most-used social media brand among all-ages with 64%. But among 12-24s, it has been overtaken by Snapchat (72% to 68%) with Instagram close behind (66%). Need a business plan? Text or call me at 203-685-0346 or email me by clicking here. Porter’s 5 Forces was developed by Michael E. Porter in his classic 1980 book Competitive Strategy: Techniques for Analyzing Industries and Competitors.